In a competitive entertainment world where self-promotion is essential, celebrities have long sought for new strategies to brand themselves. Previously, stars like Jisook of Rainbow showcased her hidden talents in a blog and comedian Song Eun-yi embarked on a second career as a content creator by launching a podcast. With the boom of new media and the ever-expanding realm of YouTube, however, celebrities have been making their voices heard via the popular streaming service beyond the silver screen and radio waves. YouTube has become a popular platform for many celebrities to share their interests, especially when they have brutally unstable work schedules and life patterns, with no guarantees of fame. 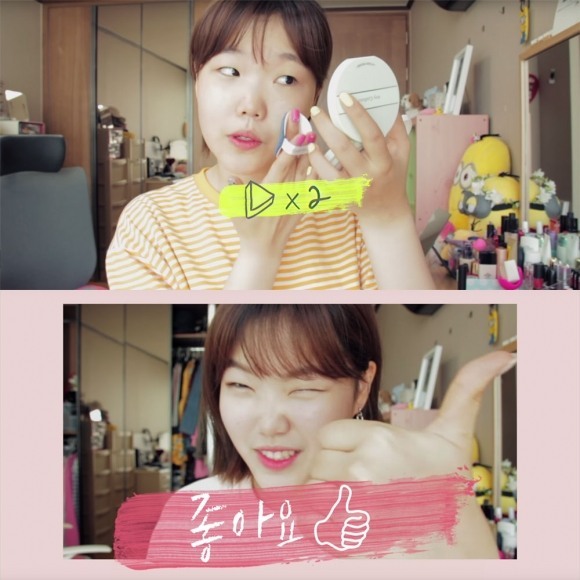 Among the celebrity-turned-YouTubers is Lee Soo-hyun of K-pop duo AKMU, who has been running her beauty YouTube channel Mochipeach since May last year. With over 850,000 subscribers, Lee has uploaded more than 30 videos to her channel, sharing useful beauty tips and makeup knowhow. Rather than focusing on one topic, many celebrities have also expanded the range of contents to their ordinary lives, hobbies and interests, bridging the gap between the showbiz world and public. 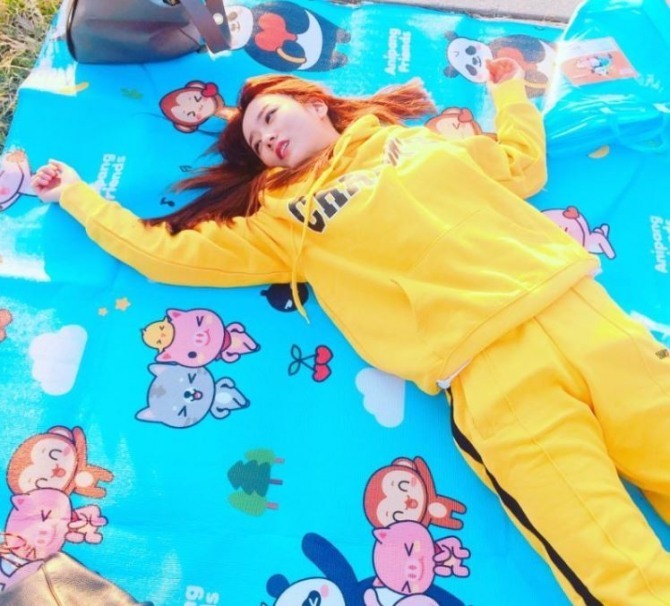 Apink’s Bomi, one of the most cheerful members of the group, is another active YouTuber, having launched her own channel Bbom Bbom Bbom in April. Spurred by her popularity, her YouTube channel covering various topics such as beauty, ordinary life and diet drew more than 20,000 followers in just 20 days. She said it was part of her effort to fill the gap between periods of promotions and communicate with fans. “Since our group doesn’t have many promotion activities, we often have a long hiatus. Sometimes I felt emptiness and fans had to wait for a long time. So opening my own YouTube channel seemed like a way to cheer both sides up,” Bomi told The Korea Herald in a recent interview. “But more importantly, I have been into ‘meokbang’ for four years, thereby gaining interest in YouTube. And I decided to jump into YouTube to show my interests in a more comfortable and free way,” she added, referring to the broadcasts popular in Korea that show the subject on camera eating a meal. Covering a wide range of topics such as beauty, diet, ordinary life and cooking in 24 videos so far, she has amassed over 410,000 subscribers. Luna of f(x) and rapper Defconn have more than 100,000 subscribers with channels Luna’s Alphabet and Defconn TV, respectively. Amid the long hiatus of the group, Luna has rebranded herself via the channel, where she uploads contents related to makeup, diet and nail art. 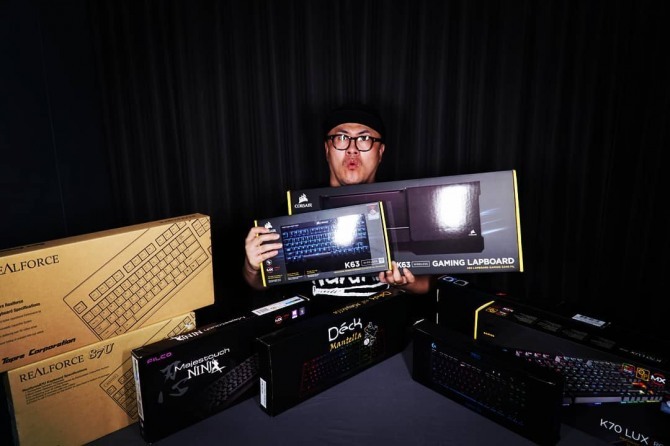 Introducing himself as the celebrity with the most hobbies in Korea, Defconn has also been sharing his interests in shoes, miniatures and computers through the channel. “Among YouTubers, holding more than 100,000 followers is considered as having enough sustainability in the industry. 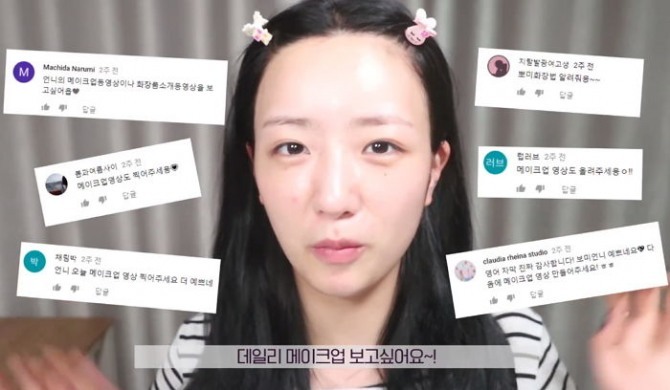 Celebs who have such a figure of followers can actually make a living as a YouTuber,” said Bang Yeong-il, senior specialist of CJ ENM’s DIA TV, a networking agency for content creators. The company, cooperating with over 1,400 individual creators including YouTubers such as Banzz, Ssin Nim, The Great Library and ToyMonster, has been expanding its network in the entertainment circle. Comedian Kang Yu-mi, Bomi and Luna are currently signed under the agency. While holding a stronger edge in the industry thanks to their fame, surviving in the world of one-person media requires more than just smiling at the camera. If subscribers are not drawn to the contents, it is incredibly easy to slip off the radar and lose favor with the algorithm that gave celebrities wings, according to Bang. “Those celebrities may have an upper hand in the industry with their high profiles at the beginning, but they are also subject to two major values in one-person media, which are consistency and creativity. No matter how popular they are, they also have to struggle with creative contents,” he said. Rookie YouTuber Bomi shared that seesawing between the two jobs has been a tough journey. “Honestly, every single thing is still a challenge and difficulty. Many times I have to shoot alone, so I have to take multiple roles such as camera director and scenarist all at once for one shoot and take care of so many things,” she said. “Sometimes I’m worried that I might not be able to make many contents due to my schedules and lack of strength, but I try to upload at least one video every week,” she added. Culture critic Lee Taek-kwang said that celebrities’ fame may boost their YouTube career, but winning the race is another issue. “The reason many celebrities start a YouTube career stems around their unstable job environment. And YouTube aids them in creating profit immediately,” Lee said.